A complete listing of current College tuition and fees is available here. View account information and make payments online through the College Portal. Personal check, money order, cash or credit cards (Visa, MasterCard, and Discover) can be paid to the Student Accounts Office. Online payment through the SUNY Ulster College Portal may be made by check or credit card. A Tuition Payment Plan is also available through your College Portal account. Information is available here. Any balances not paid on time are subject to late charges, litigation fees, and collection costs. A complete list of program/course specific fees is available here. According to State Law, students attending SUNY Ulster whose legal residence is in a county other than Ulster are required to submit a Certificate of Residence from their home county to the Student Accounts Office. This document can be obtained from the Chief Fiscal Officer of their home county and must be submitted to the SUNY Ulster Student Accounts office NO LATER THAN 30 DAYS AFTER THE FIRST DAY OF THE SEMESTER and no earlier than two months prior to the first day of the semester. Failure to supply a Certificate of Residence will result in billing at non-resident tuition rates. A Non-Resident tuition charge will be assessed on their account until the Certificate of Residence is received. Those students who do not obtain the Certificate of Residence will be responsible for paying the Non-Resident charge. SUNY Ulster policy requires students to submit a new Certificate of Residence for every school year starting in September. Certificate of Residence application forms are available at SUNY Ulster’s Student Accounts Office and the College’s website here. All students who have a check returned by their bank due to insufficient funds will be assessed the return fee of $25 and a hold will be placed upon their account. The College will redeposit the check once and if that attempt is unsuccessful, a letter will sent to the student stating they have 5 days to remit payment. To be eligible for a refund, students are required to officially notify the Registrar’s Office if they drop courses or withdraw from the College. Refund schedules for full-time and part-time students in regular semester, summer session and express semester courses are available here. You may lose your financial aid for the current semester and future semesters. You will have to pay the tuition that financial aid does not cover. The earning of federal financial aid is determined by the federal policy. If a student withdraws from the College prior to completing 60% of the semester, the federal government does not view the students as having “earned” all of the funds awarded. In that instance, the College is required to return the “unearned” portion of the aid to the government. Please contact the Student Accounts Office or the Financial Aid Office if you have any questions about your withdrawal and the effect on your financial aid. If you do withdraw, you should contact the Student Accounts Office to determine how much of your charges will be covered by financial aid and how much you will have to pay from your own funds. The components of the annual budget include direct and indirect expenses. Direct expenses are paid directly to the College for tuition and fees. Other direct costs are for the purchase of books and supplies. Indirect costs are expenses related to attending college, such as transportation, personal costs, and room/board. Estimated expenses for students based on various circumstances are available on the Financial Aid website. Requests for deferral of tuition will be considered if students are unable to pay full tuition by the established deadlines. In all cases, students must provide proof that they have applied for financial aid through appropriate federal and/or State programs. The College has made arrangements with an outside service that allows students to participate in a tuition payment plan. Participation in the payment plan allows students to make installment payments on their tuition account over an extended period of time. There is a per-semester fee required to enroll in this program. Additional information may be found here or by calling the Student Accounts Office. The student will not be permitted to register for courses. The College will not release the student’s transcripts to other colleges and universities, employers or the military. The College may restrict the student’s access to their online academic records. Each full-time and part-time student at the College is insured under a mandatory student accident policy, which is financed by College insurance fees. Additional information and accident insurance forms are available here. On average, SUNY Ulster’s Financial Aid Office assists more than 75% of students to secure funding. Financial aid is any grant, loan, paid employment, or other scholarship awarded to matriculated students with academic potential who are in need of financial resources to help meet educational expenses. The direct objective of financial aid is to provide opportunities for students to complete their college education. Such aid is usually provided by federal and State agencies, foundations, corporations, and College scholarships. Grants and scholarships are regarded as gift assistance and need not be repaid, although they may carry certain provisions to which students must adhere. Loans are usually offered at low interest rates and can be repaid over an extended period after students stop attending school. Aid offered in the form of a job (work study) is paid every two weeks on an hourly rate for work actually performed. In order to qualify for financial aid, students must enroll for courses that apply toward their declared program of study. Enrichment courses are courses that do not apply toward the student’s declared program of study but prepare students for required courses. These courses do qualify for financial aid. Courses taken for an audit grade do not count in the minimum course load requirements to receive financial aid and do not count toward the degree. Repeated courses may qualify for financial aid if the repeat is necessary for the degree. For example, a nursing student who receives a D grade in SCI 107 or NUR 152 must repeat the course, since a C is required for the degree. For Federal Aid, students may retake a previously passed course once. This does not apply if the student must retake the course due to failing other coursework. Students may take more than 12 credits each semester, and as long as 12 of those credits apply toward the degree, full-time financial aid awards are not in jeopardy for that semester. Students must be enrolled in programs of study that are at least 24 credits in length to receive federal and State financial aid. Additional Financial Aid eligibility information is available here. The steps, resources and forms necessary to apply for various forms of financial aid are available here. Completing a FAFSA is the first step in applying for financial aid, and the preferred method of submitting the FAFSA is online at www.fafsa.ed.gov. After applying, students receive a Student Aid Report that should be reviewed carefully for errors or incomplete information. The comment section will identify specific requirements, such as Selective Service registration, confirmation of U.S. citizenship, etc. The College must have correct, complete information by the last date of enrollment or June 30 of the current award year, whichever comes first. The Express TAP Application is the application for the New York State TAP grant for full- and part-time study. After completing the online Free Application for Federal Student Aid (FAFSA), the student will be prompted to complete the TAP application. The APTS application can be completed by matriculated part-time students taking at least 3 but fewer than 12 college credits, not counting developmental OTP classes. Application deadlines are available here. The award amount is determined by the number of students who apply and are eligible and the funds provided by New York State. To apply for a loan, students must complete the FAFSA, submit all requested income documentation, complete an entrance interview and Master Promissory Note (MPN) online, and submit a loan cover sheet to the Financial Aid Office. More information is available here. Deadline dates are available here. Complete applications for financial aid accurately and submit them in time to the correct address or website. Errors can delay financial aid. Adhere to deadlines for applying or reapplying for aid. Provide all required documentation, corrections, and new information requested by the Financial Aid office, the College, or the agencies to which applications were submitted. Notify the College of any information that has changed since the initial application. Perform the work agreed to in a college work study (or student aide) job in a satisfactory manner. Read the promissory note for the Direct Stafford Loan and repay any student loans in a timely fashion. Maintain satisfactory academic progress to maintain State and federal financial aid eligibility. Read, understand, and keep copies of all signed forms. Read and understand the College’s refund policy. Students may be selected by the United States Department of Education or the Financial Aid Office to verify the information provided on the financial aid application. APTS applicants must verify NYS income information. Students who are selected may be asked to verify information, such as income, federal income tax paid, household size, number of family members enrolled in post-secondary education at least half time, certain untaxed income and benefits received, citizenship, and Selective Service registration. Students may be asked to provide copies of income documents (copies of federal income tax return transcripts, Social Security Administration statements, ADC budget sheets). If students receive federal financial aid as a result of reporting incorrect information, they will have to repay any portion of aid that should not have been received. Any person who intentionally makes false statements on a federal aid application is violating the law and is subject to fine, imprisonment, or both. The following documentation may be required to verify the information provided on the Free Application for Federal Student Aid or the Federal Verification Form. Some students, their parents, or both, may have special conditions that have affected their ability to pay for college. In order to review a student’s request, the Financial Aid Office requires that the student meet with a Financial Aid counselor, provide documentation of the special condition, and provide income documentation. These special conditions may include loss of employment, loss of nontaxable income or benefits, separation or divorce, death, dislocated worker certification, or excessive medical expenses. A Federal Pell Grant is an award of gift assistance to help undergraduates pay for their education. Application deadlines are available here. Students must have the Free Application for Federal Student Aid (FAFSA) processed by June 30. Applicants must have a valid Student Aid Report or Institutional Student Information Report with the school code of 002880 available to the Financial Aid Office while still enrolled and attending classes or by June 30, whichever comes first. Students must meet all eligibility criteria to receive disbursement. Dates of disbursement are available here on the College Portal. FSEOG is for undergraduates with exceptional financial need, and gives priority to students who receive Federal Pell Grants. FSEOG does not have to be paid back. There is no guarantee that every eligible student will be able to receive FSEOG or other campus-based aid. Students at SUNY Ulster will be awarded FSEOG based on the funds available. Students who complete the application/verification process by May 1 will be given priority review for the following academic year. The Federal Work-Study Program provides jobs for students with financial need, allowing them to earn money to help pay educational expenses. The program encourages community service work and work related to students’ majors. Students identify job opportunities at the Career and Job Services Office and receive final authorization to work from the Financial Aid Office. Students then receive timesheets, payroll schedules, and additional employee information. Information about borrowing limits for dependent and independent students is available here. An origination fee is deducted from the loan proceeds. The loan amount is determined by the maximum allowed and financial need. Current interest rates for subsidized and unsubsidized Stafford loans are available here. For Direct Subsidized Stafford Loans, the government pays the interest while the student maintains at least half-time status in college. The Direct Unsubsidized Stafford Loan has the same loan amount limitations and payment requirements as the Subsidized Stafford Loan, but unlike like the Subsidized Stafford Loan, the student is charged interest from the time the loan is disbursed until it is paid in full. All Direct Subsidized Stafford and Unsubsidized Stafford Loan recipients must meet all loan requirements, including an Entrance Interview and completion of a Master Promissory Note. The Parent Loan for Undergraduate Students (PLUS) can be available for undergraduate students. The loan is limited to Cost of Attendance minus Financial Aid, and has credit limitations. Current interest rate information is available here. Students and parents will be reviewed for eligibility that includes certifying they are not in default or owe a refund to a Title IV fund. According to federal regulations, two standards are needed to maintain satisfactory academic progress for all matriculated students, even if they do not receive Federal Title IV financial aid. Future Federal Title IV financial aid eligibility is determined at the end of the spring semester. Section 668.16(e) of the final regulations governing the Student Assistance General Provisions requires institutions to establish, publish, and apply reasonable standards for eligible students. These provisions apply to the satisfactory progress for the receipt of Title IV student financial aid. These regulations establish a maximum time frame in which students must complete their educational objectives. The maximum time frame can be no longer than 150% of the published length of the educational program. At SUNY Ulster, that means students have three full-time equivalent semesters to complete a one-year program of study, and six full-time equivalent semesters to complete a two-year program of study, including remedial/developmental course work. Students must be successfully pursuing their program of study during the six semester full-time equivalent time frame, and must complete all graduation requirements by the end of this time frame. The required number of credits for graduation varies by program. A pursuit of program chart, which indicates the minimum number of credits and GPA a student must complete each semester, is available here. The number of credits accepted for transfer from other institutions will be included in the number of credits attempted to determine the student’s eligibility status. Students can repeat classes they have already passed if the Catalog lists a requirement of C or better. They may also repeat a previously passed class one time provided that the repeat is not required due to failing other coursework. A grade of Incomplete for a course is included in both determining the cumulative grade-point average and pursuit of program. Students who lose their State and/or Title IV financial aid eligibility should contact the Financial Aid Office after the Incomplete grade is changed for a review. Students required to take developmental or remedial course work will have those courses counted in the maximum number of attempted credits when determining eligibility. Title IV federal financial aid is limited to six semesters for a two-year degree at SUNY Ulster. Students who have exceeded that number as a result of unusual or exceptional circumstances, including the need for retraining through education, may file an appeal as described below. Students who do not meet the Satisfactory Academic Progress and Pursuit of Program standards will lose their future Federal Title IV financial aid eligibility. Attend another college or other post-secondary institution. Students can apply using a Financial Aid Appeal Request form and submit the request with all required documentation to the Financial Aid Review Committee. The conditions of the appeal are explained to each student receiving one. Students may be required to meet with other college personnel (Academic Advisor, Career Services, Student Support Services, Learning Center, etc.) as part of the appeal approval process. The Higher Education Amendments of 1998 provide that students are ineligible for federal student aid if convicted, under federal or State law of offenses involving the possession or sale of a controlled substance during a period of enrollment in which federal student aid was received. Federal aid can be grants, student loans, and/or college work study. The period of ineligibility begins on the date of conviction and lasts until the end of a statutorily specified period. The student may regain eligibility early by completing a drug rehabilitation program or if the conviction is overturned. Section 484(r), Higher Education Act of 1965, detailing the suspension of eligibility for drug-related offenses and rehabilitation, follows. The conviction is reversed, set aside, or otherwise rendered invalid. In this subsection, the term “controlled substance” has the meaning given the term in section 102(6) of the Controlled Substances Act (21 U.S.C.802(6)). For more information on this topic, please visit www.fafsa.ed.gov. State regulations are subject to change. New York State financial aid programs require that matriculated students be residents of New York State and be attending a college in New York State. TAP is an annual award that can cover up to 100 percent of tuition at SUNY Ulster. 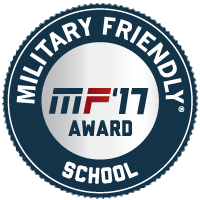 Awards are determined based on the income of the student/spouse and parents. Parental income information is not considered for students who are deemed to be independent. The criteria to determine student independence are available here. Students claiming independence who do not meet the age requirements must provide proof of independence to NYS-HESC, who will make the final determination. Special conditions for independence include parents deceased, disabled, or declared incompetent; the student is a ward of the court, ward of the State, or has been rendered independent due to the involuntary dissolution of the family. Students enrolled in a two-year program cannot receive more than three years of TAP. Accordingly, students who have already received payment for three years of TAP are not eligible for an award. A student accumulates six TAP points for each full-time TAP award received. After receiving 24 TAP points, a student must maintain a “C” average (2.0 cumulative grade-point average). Students enrolled in a one-year program (at least 24 credits) are eligible to receive three semesters of TAP. The State University of New York’s Educational Opportunity Program (EOP) provides academic support and financial aid to students who show promise for mastering college-level work. 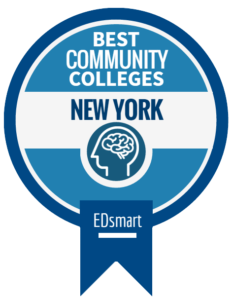 Offered primarily to full-time students who are New York State residents, EOP accepts students who qualify academically and financially. The number of EOP students is limited based on the EOP guidelines. Eligibility: To be eligible for admission to EOP, you must be a New York State resident for 12 months prior to enrollment, demonstrating potential for completing a college program, and in need of financial assistance within established income guidelines. In selecting students for the program, priority is given to applicants from historically disadvantaged backgrounds. Support Services: When you enroll as an EOP student, you will receive tutoring and academic career and personal counseling at the EOP Office, the Learning Center, Student Support Services, and Career/Transfer Counseling. Transfer: You are eligible for EOP as a transfer student provided you have been enrolled in EOP, College Discovery, SEEK, and/or HEAP. If your previous college did not have EOP or a similar program, you may be considered for transfer eligibility and should notify the College. EOP Financial Eligibility: In order to be determined economically disadvantaged, a student’s household income must not exceed the income in any category based on the household size (including head of household). Check the suny.edu/student website for any changes to financial eligibility guidelines. A list of scholarships available from New York State and their eligibility requirements is available here. To maintain good academic standing, students must pursue the program of study they are enrolled in, and make satisfactory academic progress toward the completion of the program’s requirements. During the first payment year, students must complete 6 credits each semester, with a grade other than withdrawal, incomplete, audit, or unsatisfactory. During the second payment year, students must complete 9 credits each semester. In the third year of State awards, students must complete 12 credits each semester. TAP awards are limited to 6 semesters for students enrolled in a two-year program. Students must enroll in courses that apply to the students’ program of study. If students do not complete the minimum number of credits in a given term, they are ineligible for State financial aid in the following academic year or until additional hours are completed to reach the minimum level. Satisfactory academic progress, used to determine eligibility for student aid, is available on the New York State Satisfactory Academic Progress chart here. This chart is for students enrolled in Associate degree and certificate or diploma programs. Certificate and diploma programs must be at least 24 credit hours in length. Noncredit, remedial instruction can be counted toward a full-time academic load as set forth in 145.2.1 of the Commissioner’s Regulations. The number of credits in this chart refers to work completed toward the degree, certificate, or diploma. State Education Department regulations allow for one waiver during a student’s undergraduate career. Students may ask for and receive the waiver when documentation is presented to explain the inability of the student to meet minimum standards. A written appeal will be made to the Financial Aid Review Committee outlining unusual or exceptional circumstance. The waiver is not automatically given, and students must consent to its use, if granted. All students making normal progress toward the degree (completion of a full-time load with a 2.0 average) will remain eligible for State financial assistance. If, however, a student’s grade-point average falls below 2.0, or only a small percentage of courses are completed, State awards may be withdrawn until the deficiencies are remedied. Students who transfer from other post-secondary institutions will be positioned on the Standards of Academic Progress Chart. This placement will be done to the students’ best advantage as indicated by the number of credits hours approved for transfer in the students’ program of study. Students are limited to six semesters of TAP at a two-year college. EOP eligible students may be granted an additional two semesters of TAP eligibility. Students can only repeat classes and have those credits count toward full-time status if the College Catalog requires a grade of C or better, and they did not previously achieve that grade. Students required to take developmental or remedial coursework will have those courses counted in the maximum number of attempted credits when determining eligibility. Students who transfer to SUNY Ulster from another post-secondary institution will be reviewed for financial aid received at those institutions. Students may be ineligible for federal financial aid at SUNY Ulster if they have received all or part of the year’s federal financial aid at other institutions and/or have been reported as in default or owing a refund to the U.S. Department of Education. EOP students will be required to provide certification of EOP/HEOP status from the prior institution(s). Students receiving TAP will be reviewed for placement on the TAP Progress Chart. Students who are readmitted to SUNY Ulster will be reviewed for satisfactory academic standing per federal and State regulations at the time of readmission. Federal and state resources are available to assist veterans with educational expenses. Information about both federal and state programs is available here. The Education Service administers the many federal benefit programs for veterans. Information about available funding options and their eligibility requirements is available here. If you need additional assistance, please call the toll-free number at (888) GI-BILL-1 or (888) 442-4551 to speak with a Veterans Benefits Counselor, visit the Veteran website at www.gibill.va.gov or visit our Financial Aid Office. New York State also administers many veteran benefits programs. Information about funding options and their eligibility requirements is available here. Additional information can be found at www.hesc.com, by entering “military corner” in the search engine, or by calling (888) 697-4372, or from our Financial Aid Office. If in the course of reviewing student information, the College has reasonable grounds to believe that in applying for aid, the student has engaged in fraud or other criminal misconduct, such as the use of false identities, forgery of signatures on certifications, or false claims of income, citizenship, or independent student status, the College will seek immediate repayment for all financial aid received. No refunds will be issued. Action will be taken up to and including permanent suspension and notification to the U.S. Department of Health and Human Services, the Education Office of the Inspector General, and the State or local law enforcement agency that has jurisdiction to investigate the matter. The Ulster Community College Foundation, Inc., provides funding that guarantees full tuition to graduating students from Ulster County high schools, or to graduating high school students who are Ulster County residents, who rank in the top 10 percent of their graduating class, and meet other scholarship requirements. 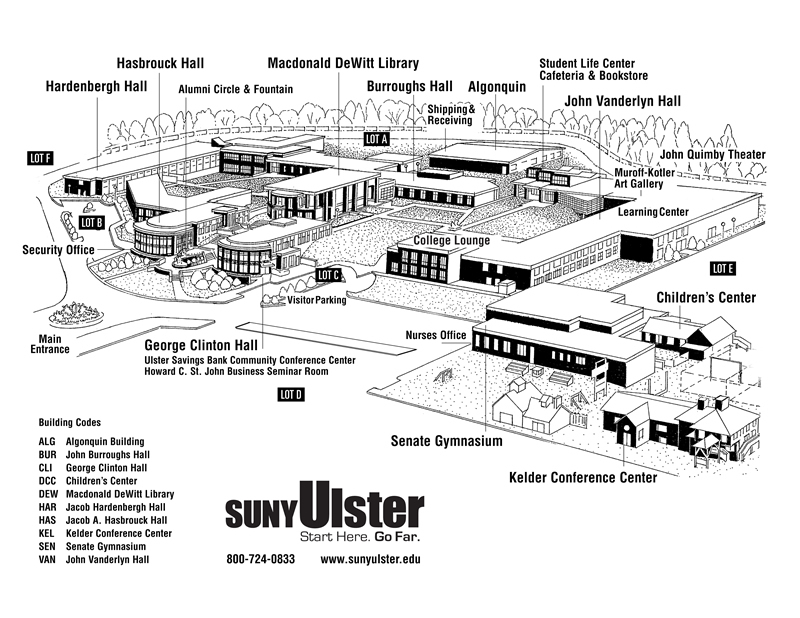 Graduate from an Ulster County high school or be a resident of Ulster County and graduate in the same year of application to SUNY Ulster, and attend no other college or university. Receive a NYS Regents Diploma. Rank in the top 10 percent of their graduating high school class. Apply for Federal and State financial aid and provide all award certificates to SUNY Ulster’s Financial Aid Office. Apply and be accepted into full-time study at SUNY Ulster. 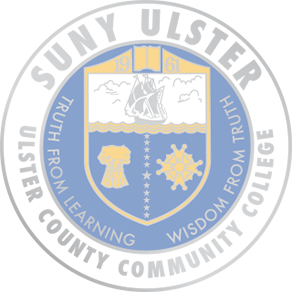 This award is combined with all other financial aid awards and Ulster Community College Foundation, Inc. scholarships to provide full tuition for full-time study. The scholarship is good for two consecutive semesters and does not cover fees or books. Recipients completing a full academic year at SUNY Ulster and maintaining a minimum 3.3 cumulative GPA may be eligible for a second-year of College Scholars funding at SUNY Ulster. More information about the College Scholars Program is available here. Student Support Services program is 100% federally funded by the U.S. Department of Education. This program strives to promote academic success of the students who meet federal-eligibility requirements and who elect to participate. The goals of the program are to increase the retention, graduation, and transfer rates of students who are low income, first-generation college students and of students with disabilities. Student Support Services participants who receive the Pell Grant may be eligible to receive the SSS Supplemental grant. These funds are awarded to students who meet specific eligibility and participation criteria. Students who are interested in participating in the Student Support Services Program are invited to call or visit the office. More information is available here. Scholarships Available through Ulster Community College Foundation, Inc.
SUNY Ulster has scholarship opportunities for all types of students and fields of study. The scholarship application for the subsequent academic year is available online here. There are many scholarship opportunities outside of SUNY Ulster that students can utilize. Academic department offices often post scholarship opportunities on bulletin boards; the Transfer Office posts scholarship opportunities for students planning to transfer, and students can take advantage of other scholarship opportunities by visiting the Library, doing online scholarship searches, and searching for local organizations that provide opportunities. More information and resources are available on the SUNY Ulster Financial Aid website.